Thirteen-year-old Tyler loves spending the summer in New York with his cousin. Each day, they play baseball in a Central Park league. Tyler is a sharp hitter, so he hopes to become an All-Star. But he has a temper that is quicker than his swing. If he can't control it, he will lose his place on the team. There's trouble off the diamond, too. An awful accident has turned Tyler's dad into a distracted stranger. People tell Tyler that time will heal his father's wounds, but what about the hurt Tyler feels? He just wants to bat it away. John H. Ritter, author of the ALA Award-winning Choosing Up Sides, has created a realistic story of one boy's struggle with fear and forgiveness. 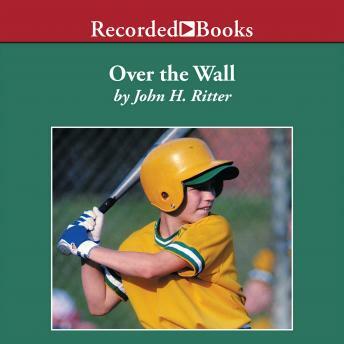 Narrator Johnny Heller captures the emotions of a young teen beginning to understand the impact of his choices-on the baseball field and in his life.